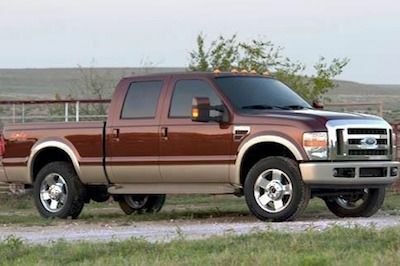 The Super Duty truck is one of the most popular vehicles in the truck class. If you need parts for your F-250, F-350 or F-450 Super Duty, we have the best replacement parts available. When you order from FordPartsOnSale.com, you can be sure that you will never receive fake or imitation parts because we carry only original factory parts. Running Boards - Running boards will add functionality to your F-250 Super Duty truck that allows you to get in and out easily. If you have a damaged or missing running board, we have a complete line of authentic Ford replacements. Floor Mats – Protect your carpet from mud, ice and even spilled coffee with a new set of floor mats. This will also increase your resale value. Choose between carpet or all-weather material. Oil Filters - Protect your engine and keep your truck running like new by selecting a factory original oil filter every time you change the oil in your F-250 Super Duty. We have oil filters, air filters and transmission filters. Ford Parts On Sale has a friendly, knowledgeable staff with extensive Ford parts experience. We are happy to answer any of your questions. You can reach us by calling 585-475-1064. If you already know what you need and are ready to order, you can order online anytime. Buy now.